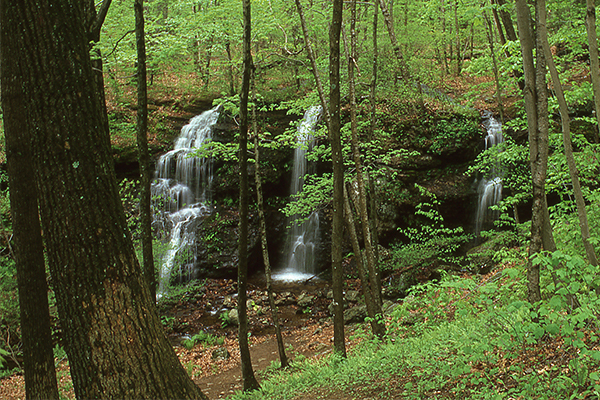 Depending on the current water volume of the Blackledge River, this waterfall is either a set of one, two, or three adjacent plunges. 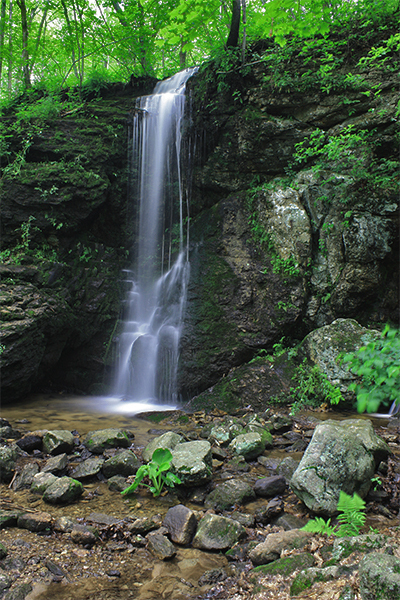 The plunges are similar in appearance, each being between 22 and 25 feet in height. 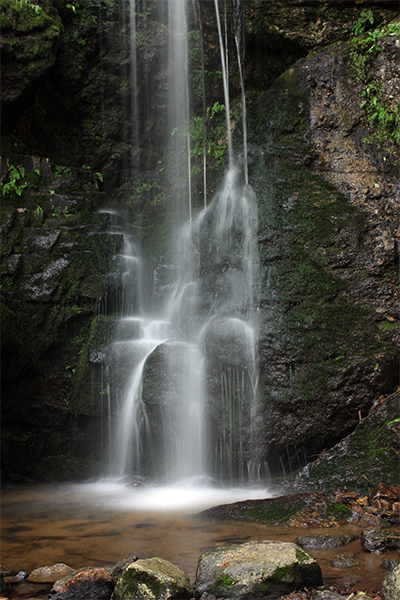 Due to their low volume, you can usually stand directly underneath the middle waterfall and become instantly refreshed. 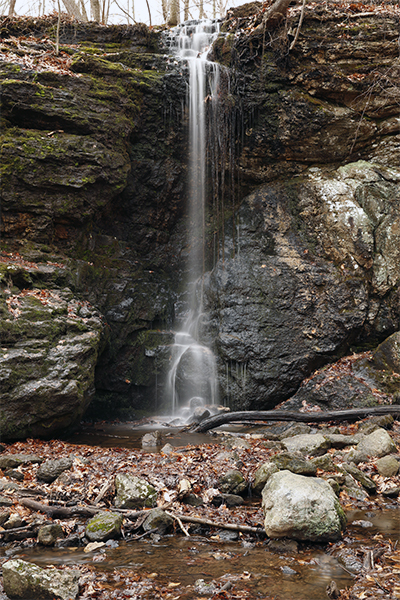 The middle plunge is a completely vertical drop, thanks to an overhanging ledge that the Blackledge River flows over. 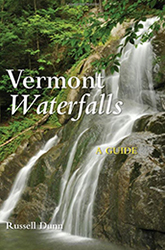 These falls are best appreciated in spring or after a heavy rainstorm; during periods of dry weather, the rushing plunges can turn into small and unimpressive trickles of water. 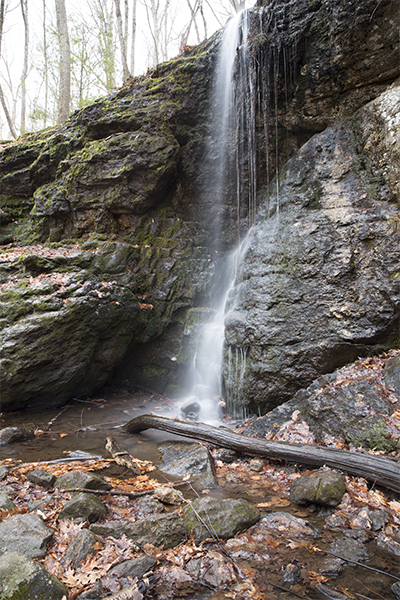 The falls are likely to be dry or nearly dry beyond the month of May. 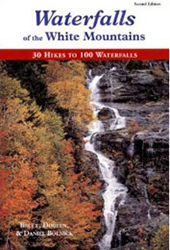 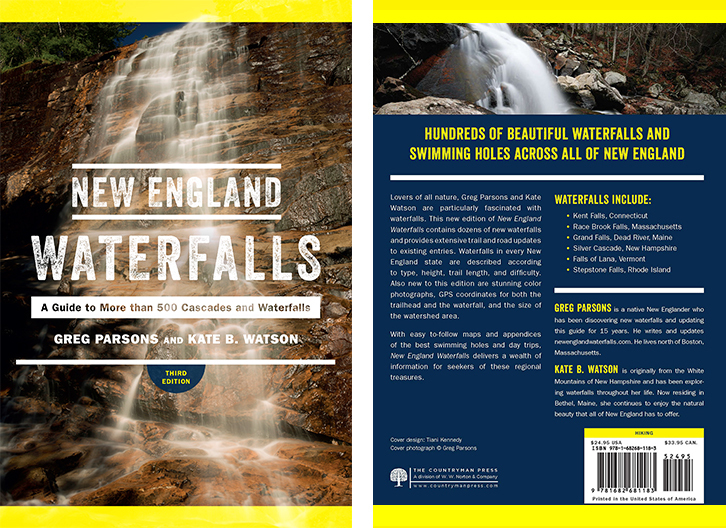 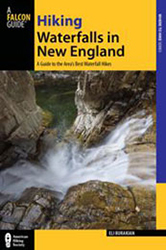 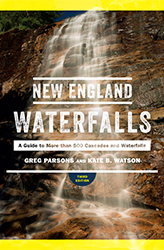 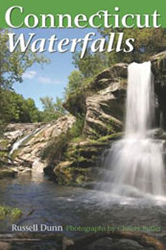 If not for it being highly seasonal, Blackledge Falls would certainly be one of Connecticut's best waterfalls.